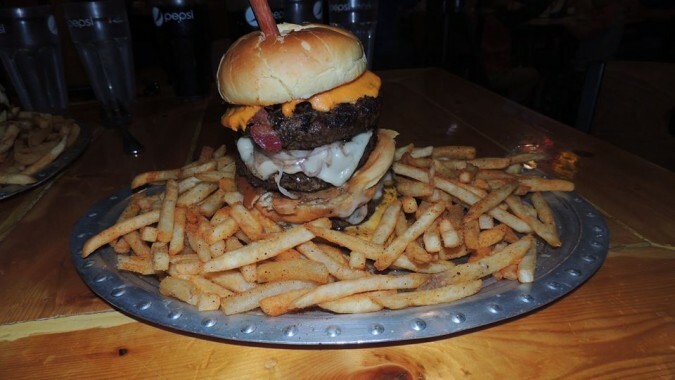 – 2 lb quad burger with all their most popular toppings: triple cheese, soft Cheddar, bacon, mushroom, Swiss, and red onion. Served with 1.5 lbs of their seasoned fries. There is a 30 minute time limit to finish everything and clean your plate. Winners receive the meal free and a photo on their Wall of Fame.